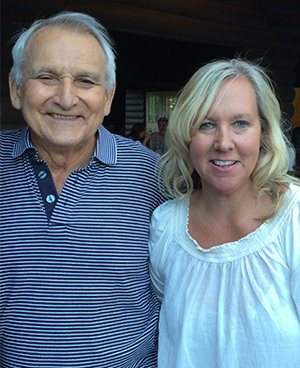 Bright Raven Gymnastics was established in 1969 by Bertalan Vegh – a former Hungarian National Team member. The goal then as it is today is to offer expert gymnastics training to the Rochester area. In 1976, Bright Raven continued to offer programs in Greece under the direction of the coaches and new owners, Kevin Powers, Bob DeLitto, Christine Dysart Field and Linda Bowser (dance instructor). In 1978 Rocco Aiello became a partner to Linda and Chris and the gym continued to operate offering a variety of classes and fielding Junior Olympic teams from locations in Rochester, Churchville and Chili. In 1983 Linda, Rocco & Chris opened the first full time gymnastics facility in the Rochester area in the Town of Gates at Westgate Plaza. Kathy King, the current owner of Bright Raven took over the gym with two other Bright Raven coaches, John Rauth and Jill Ely in 1988. Kathy became the sole owner in 1998. In 1999 she opened the Pixley Road location where Bright Raven is housed now. Under Kathy King’s leadership, the program has continued to grow and improve on Bright Raven’s tradition of excellence. At Bright Raven, there is a program for every child that wishes to pursue the sport of gymnastics as we continue to offer programs for all levels of ability and interests – from recreational programs to the highest level of USA Gymnastics Junior Olympic Competition. 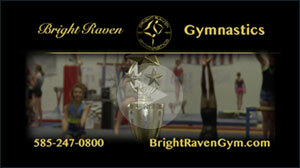 Many special moments are relived in the video created for Bright Raven’s 40th Reunion in 2009. Check it out!